Brand chief Carlisle with Cadillac XT6 in Detroit. DETROIT – In the game of hockey it is called changing on the fly, where players race off the bench to substitute for those on the ice while the clock is running, and the same could be said for Cadillac. Except it is overtime. The General Motors luxury brand, which has been in a constant state of rebuild for nearly two decades, swapped leadership last year with longtime company executive Steve Carlisle replacing former Audi and Infiniti chief Johan de Nysschen after a 4-year stint. A new marketing chief was added to the roster, as well, while the brand’s sedan-centric product portfolio is being flipped over to the crossovers and SUVs buyers are craving. Cadillac also will be the first GM brand to kick the internal-combustion engine to the curb. “We don’t have any chances left with taking Cadillac to a new place, this is pretty much it,” GM President and product boss Mark Reuss recently said of it taking the automaker’s electrification baton. Carlisle expresses the same sentiment but stops short of calling the situation desperate as the brand moves back to its native Detroit from New York to be closer to product development. “I wouldn’t call it desperation,” he tells Wards during an interview here. “We have to electrify transportation. We have an opportunity to change the world so let’s focus intensely on that, and we have confidence in the technology and there are early signs we’re turning the brand around. GM is pouring $12 billion worth of product into Cadillac. 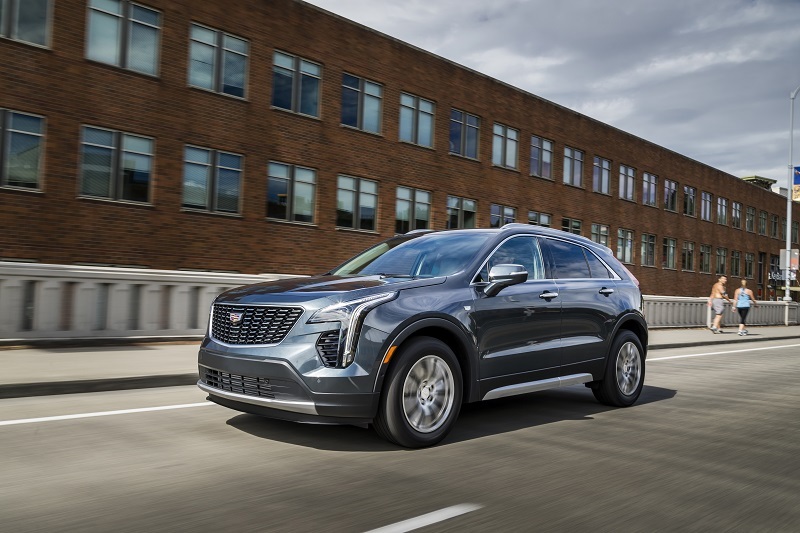 The latest in its new-vehicle volley are the XT4 small crossover, which occupies the hottest segment in luxury, and a long-awaited baby Escalade with the 3-row XT6. A redesigned Escalade, which dominates the big SUV segment and which Carlisle promises will be a leap forward in truck-lux, arrives next year. Three years down the road, Cadillac will receive its battery-electric vehicle, a crossover-leaning product riding on GM’s third-generation EV platform. Giving Cadillac the lead on electrification at GM also is a pivot for the Detroit automaker. Its volume Chevrolet brand previously led the charge with the Chevy Volt plug-in in 2010 and Chevy Bolt EV seven years later in what GM described as a bid to take the technology mainstream. But as Tesla and other luxury sellers such as Jaguar and Audi have demonstrated, it makes more sense to start at the top because wealthier buyers generally are first to new technologies. Rendering of future Cadillac EV. “It tends to be the more-affluent, higher-educated consumers that, from a sensibility point of view, is more interested in technology early on,” says Carlisle, who holds engineering and business degrees from the University of Waterloo and the Massachusetts Institute of Technology, respectively. EVs also present a two-for-one, or more, sales proposition, he adds. But for all the electrification that may lie ahead for Cadillac, it still must stabilize its business in the here and now. The brand delivered 154,702 units in the U.S. last year, a decline of 1.1% and far off the pace of German and Asian rivals. It has not witnessed back-to-back annual sales gains in its most-profitable home market since the industry began its climb out of the economic recession in 2011. The good news: The brand recorded record global results of more than 380,000 units on the strength of demand in China and in another couple months will have the crossovers it needs to compete in the U.S. Carlisle also signals more flexibility on pricing, whereas his predecessor was less willing to capitulate after years of discounting weakened the brand. “We need to be in the mix,” he says. “It’s a balance between profitability and growth. We must have momentum, but not discounting to the point where we’re doing damage to residual values. There is a history of that. Project Pinnacle, a standards requirement for Cadillac dealers begun under de Nysschen to polish showrooms and raise customer satisfaction, will remain in place, Carlisle says. However, he pledges to work with dealers to continue tinkering with the program so both sides see greater mutual benefit. Carlisle says he grew up in southwestern Ontario aspiring to own a Cadillac, never thinking he would and let alone become president of the historic brand. The more he learned about Cadillac throughout his career, the more deeply he says he has come to appreciate its technological and cultural significance. Carlisle says Cadillac founder Henry Leland’s ode, The Penalty of Leadership, has special meaning to him. Cadillac XT4 crucial addition to lineup.